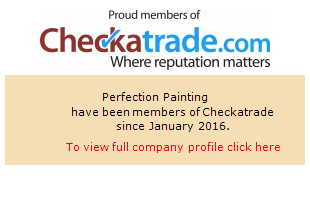 Perfection Painting is committed to quality assurance at every stage of the painting and decorating process. Customer satisfaction is at the heart of our business and to ensure that we have delighted customers after every project, we have committed time and energy in the following important areas. Firstly, we have passed the stringent criteria required to be members of the Quality Mark Scheme, a Government initiative designed to ensure a quality and professional job from it's members. We have a fully developed Health and Safety Policy, we implement safe systems of work, and ensure that all Perfection Painting staff understand and follow the policy at all times. In addition, for added customer protection, and extra piece of mind all our services and projects are fully covered with the appropriate public liability insurances. To further emphasise our quality assurance standards , please look through our testimonials and reference page to read some of our customer feedback remarks. Additionally, all of our painting and decorating works are fully endorsed with a 12 month guarantee of workmanship. Additionally, we are now members of Dulux Select Decorators and can offer an increased 24 month guarentee on both workmanship and materials. Considering this, be assured that we will deliver a top quality service time after time.